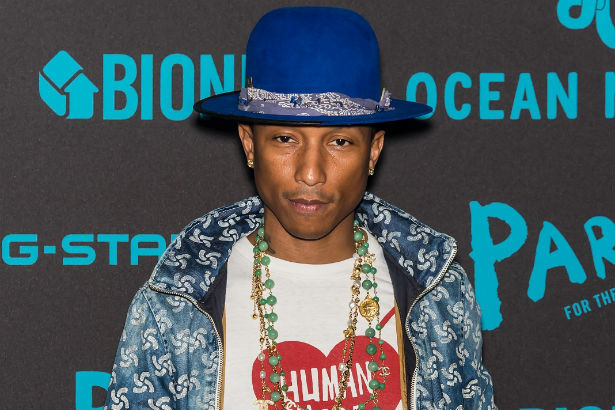 Pharrell Williams has secured his ninja grip on the hearts of the fashion set this year through a series of dope collaborations and lots of tall hats. It looks like Karl Lagerfeld is also a fan of the music producer as he’s tapped Pharrell to appear in the next short film for Chanel. WWD says that the film is expected to be released in conjunction with the house’s Salzburg resort show, which will be staged December 2. Pharrell will appear alongside Cara Delevingne (with whom he just finished working on a single) and mini Chanel muse Hudson Kroenig, the 6-year-old boy who famously “fired” Lagerfeld from his post at the fashion house last year. Pharrell has really beefed up his presence in the fashion world this year, filling up his schedule with several collaborations with Adidas Originals, Moynat, Comme des Garçons and several others. Whether or not the move was intentional, it seems to be working. Lagerfeld, who is always on the hunt for what’s cool and what’s now, is clearly as enthralled with the producer as the rest of us. We’ll be patiently waiting to see what the duo cooks up.